Need more information on Yangtza Solar Co Ltd located in Jiangsu China? If you’re considering doing business with this company, read below to read one buyers experience with when they were looking to source Solar Panel from them. 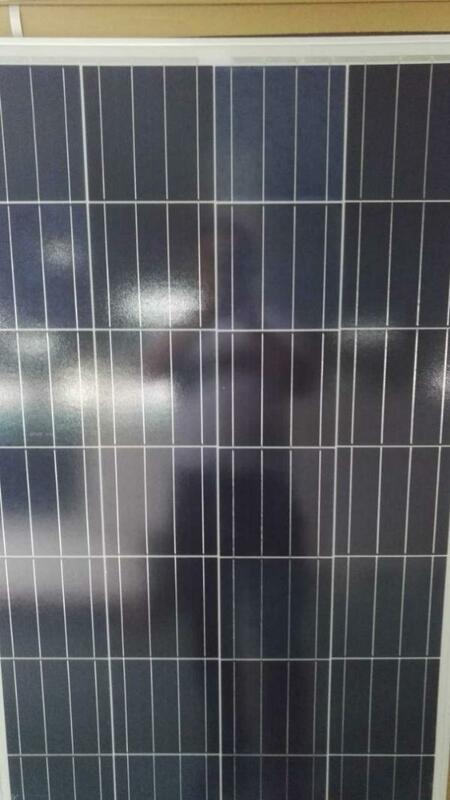 You will also find some links to help you find more related information about Yangtza Solar Co Ltd on Supplier Blacklist and on Google as well as other bad suppliers of Solar Panel reported here on SBL. 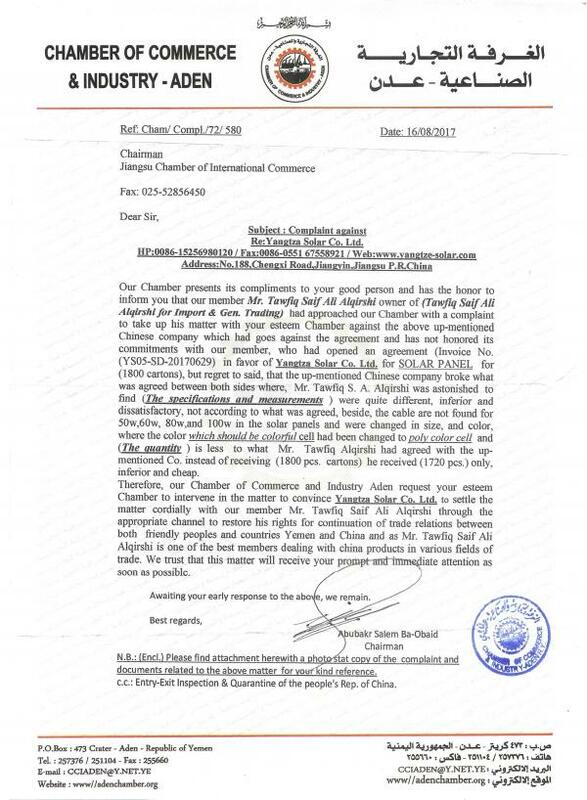 We made Order from YANGTZE SOLAR CO., LTD that was 1800PCS of solar panel like above mention and the container arrived our store on 12 AUG 2017 and we was surprised that all thing is different of Quality and Quantity ,,, and we make complaint in Yemen chamber Like attachment and inspection report from inside like attachment with all documents….. The Company and CIQ officer cheated us and stole our money!!! Because China Government make the CIQ Officer to Protect the Buyer and Seller but that is wrong and only collect allot of money from cheater company to cheat the buyer !!!!! Need More Info on Yangtza Solar Co Ltd? 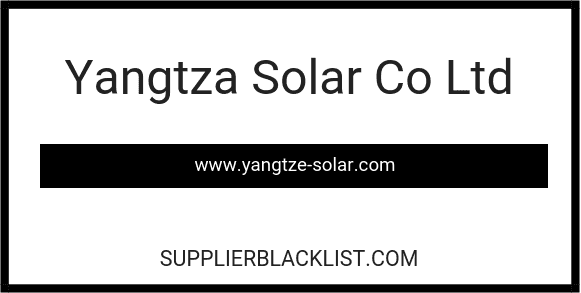 If you need more information, you can click the below links to search for more submissions about Yangtza Solar Co Ltd on Supplier Blacklist as well as go to the search results page on Google for more reviews online about this company. Perform a Supplier Blacklist search for more reviews on Yangtza Solar Co Ltd.
Search Google for Yangtza Solar Co Ltd Reviews.